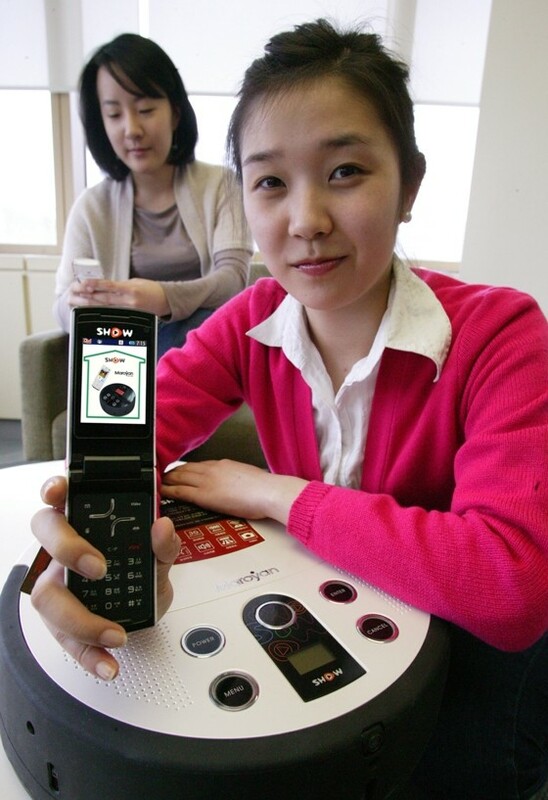 South Korean telecom firm KTF has just announced a cleaning robot which can be controlled by a 3G cellphone. The robot -- called the CW100 -- was built in collaboration with Microbot, and is a "smart" vacuum (much like a Roomba). The CW100 uses an onboard video camera to send live images of what it's "seeing" to the mobile phone, and the user can then remotely control it using the keypad. The bot will be sold for KRW 500,000 (about $370) in conjunction with a data plan that runs KRW 5,000 (about $3.70) per month. Sounds pretty affordable and awesome to us -- as long as it doesn't run over the family cat. Check out another photo after the break.